No chirps: Tired of getting woken up at 2 a.m. by your smoke alarm? Long before it has to chirp, Nest Protect tells you its batteries are running low with a message on your phone. Safety Checkup: Test all your alarms with a tap. And once the test is done, you’ll get a full report. Family Accounts: Everyone in the family can have their own Nest Account. No more sharing a password. You can all use your phone to hush and test alarms. And you’ll all get alerts on your phone if something’s wrong at home. Lights your way: If you need a glass of milk in the middle of the night, Nest Protect lights up as you walk underneath it. Pathlight is one of our customers’ favorite features so we made it better and brighter. Steam is not smoke: Has your alarm ever yelled at you for taking a shower? Nest Protect is the only alarm with Steam Check. It uses custom algorithms and a humidity sensor to look for steam, so you can enjoy a nice, quiet shower. Bought 5 to replace house’ original wired dinosaurs. The directions to set up/install were clear and concise. There’s also a step by step video. In love with ALL of its features! From alerts to your phone, a human voice before alarm to the very fact that it can tell the difference between steam and smoke. I finally feel safe, and no more wondering what that little blinking light means! I have two pets at home, and I always worry about fires when I'm away. The fact that the Nest communicates with my phone no matter where I am gives me so much peace of mind. 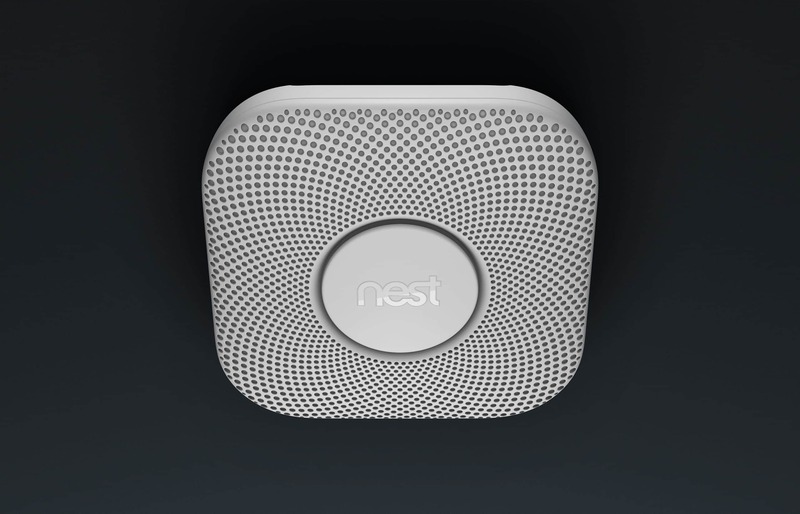 And that's doubled by the fact the Nest detects carbon monoxide as well. The product is well designed and the set up was very easy. Highly recommended. Thought this was just going to be a good CO2 and smoke detector but found the extras very nice. This product talks to my doorbell, thermostat and smart light switches. It recognized my system components and walked me through the setup. Super easy to install and “smart” out of the box. Also really love the pathway night light feature.